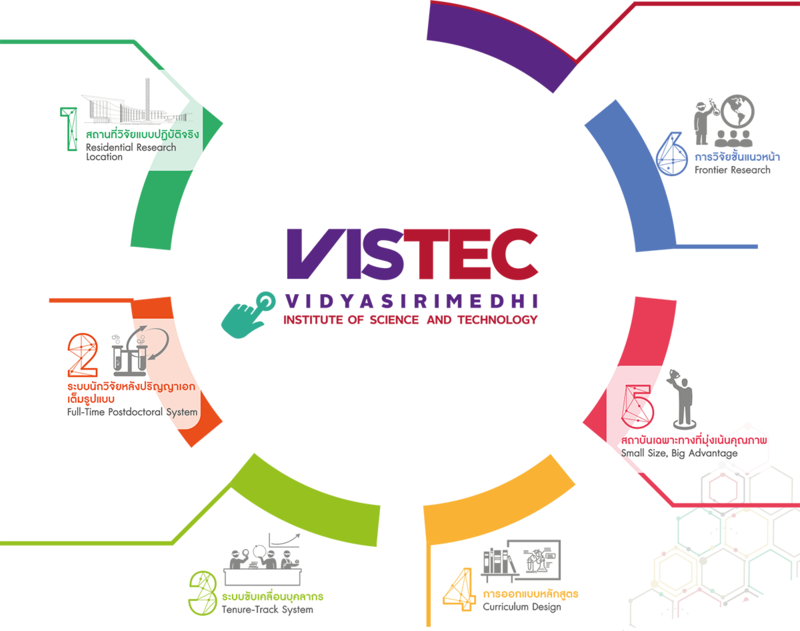 Vidyasirimedhi Institute of Science and Technology (VISTEC) will exploit and creative ideas in educational management for developing the skills of talented individual in science and technology. 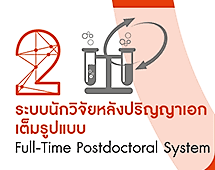 This is certainly the first time that our country can proudly dare to create and implement a full-time postdoctoral system, with a ratio of at least 1:3 for Professor : Postdocs. This will simplify research and accelerate the time from idea to result. 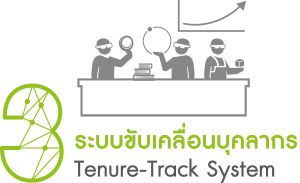 It such ensures good training and research quality. This is to keep all young lecturers on track and maintain their energetic momentum. This again is certainly for the first time in Thailand. 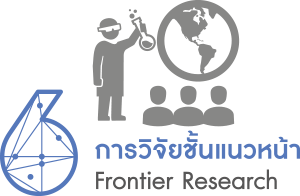 This is probably the first time, at least in Thailand or even in Southeast Asia, that an academic institution addresses three important key contributions of science, technology, energy and innovation; namely, high tech education, state-of-the-art frontier research, and industrial innovations. All of them are intertwined with issues concerning energy, environment and health. In orderto improve "personal capacity", enhance "interpersonal skills" and achieve "successful planning" via "setting a clear strategic direction", we will implement a course on "Leadership and Professional Development". 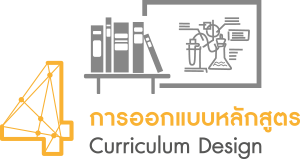 This course will be carefully monitored by our devoted and dedicated lecturers as an integral responsibility. Some selective CEOs and successful outstanding scientists will be invited to join the course as their students' role models. Being so small means that VISTEC is truly interdisciplinary. Scientists carry out research beyond conventional disciplinary silos to get things nicely done. This has helped VISTEC to stay ahead of competitors with ground-breaking discoveries ideas to have the largest possible impact. 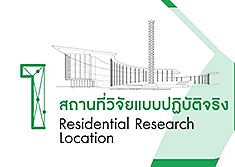 Research with the best combination of “blue sky basic research” and “consideration of use” will nicely and significantly bring excellent ideas to bear fruit.